With the need for housing growing by the day, the demand for affordable and quality houses, roads, and pavements has also gone up. This has driven up the manufactures of concrete products in various countries thus created a requirement for quality machinery. Quality is by no means achieved by accident. A consistent effort and strategy must be applied to achieve high quality. 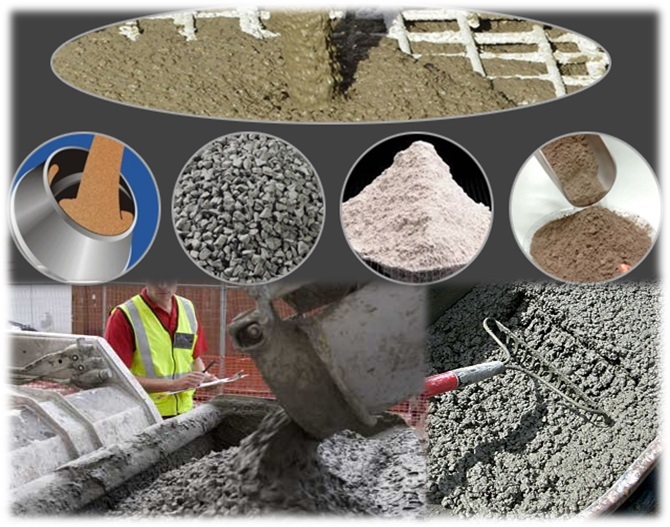 A well-prepared concrete mix must have a positive slump test, grayish in color, uniformly mixed and sedimentation or separation of the sand and ballast must not occur. To achieve this, the equipment used in the preparation must be well maintained and manufactured to the standards. It is always important for the control of the batching machine to be accurate. Some of the controls needed include speed regulators, which controls the speed of the motors, weight and volume controllers for determining the amount of each product in the mix. The Mixing time also needs to be regulated not to spend too much time on one batch, which is uneconomical. The hoper, which feeds the mixtures into the batching system, is also controlled to give proper coordination and achieve a good mix. Currently computerized systems are available, which utilize logical control units to coordinate the batching process. The plant is one of the innovations that have a wide variety of applications .Some of the products that can be developed through concrete batching include roads, Bridges, fly over’s, concrete blocks and pipes. When these products are required in large quantities, automatic systems come in handy to speed up this process. 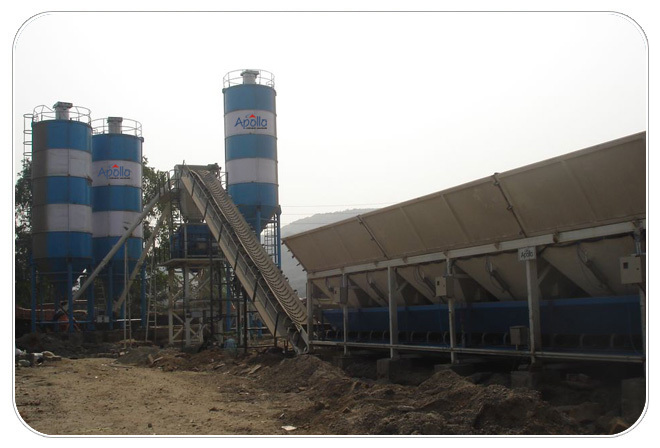 Concrete batching plants have undergone rapid developments geared towards improving their efficiency and performance. Modern plants have automated control systems that regulate the mixing process. Motor and pumps are controlled via programmable logic controllers (PLC) or computer guided controls, which ensure that concrete ingredients are measured with precision, and the mixing process is well controlled. The current plants have various sensors such as moisture content sensors, which detect the amount of water in the concrete mix and ensure that the mixture has the required water content. The whole plant has various sensors used to detect issues such as voltage, current, pressure, weight, to guarantee high quality mixture. For effective operation of concrete equipment, careful maintenance routines should be followed. All active units need to be calibrated to ensure that they deliver the required amount of concrete mix ingredients. The batching plants have motors, conveyor belts, and other machineries, which move different materials. It is necessary to perform routine maintenance operations such as greasing, oiling, cleaning, changing bearings and other moving parts and replacing worn out parts. This will ensure that a high quality mixture is obtained. 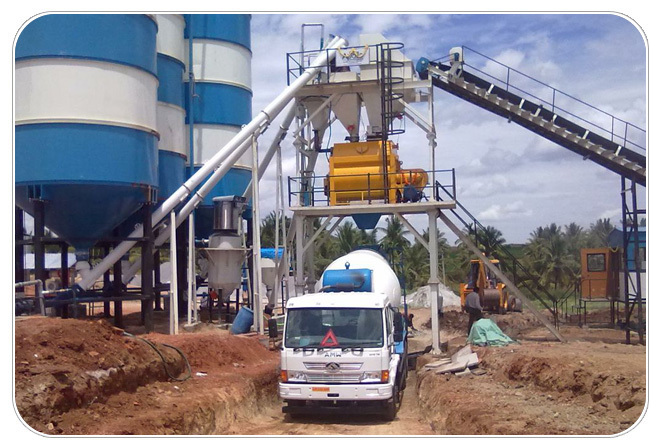 Generally, with the use of automated cement handling machine, a strong and quality products are obtained. This makes building affordable and easy to maintain, as no repairs are needed in future. How To Take Care & Remove Blockages of Concrete Pump? Concrete equipments are machines and industrial setups that are used in preparation of concrete products such as slabs, culverts, and pillars and even hollow core slabs. There is a wide range of items that can be made of concrete depending on use thereby making these equipments very important in industry. Continuous cleaning of the machine. 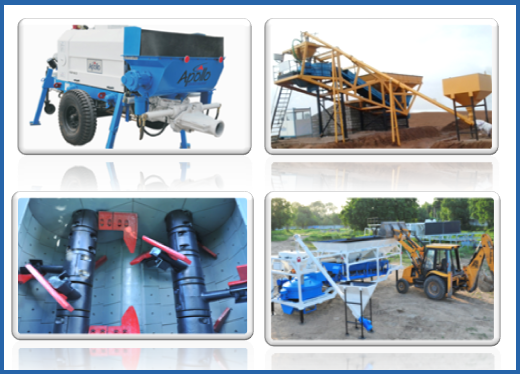 This applies to all types of concrete equipments including transit mixers. A daily cleaning routine helps remove the accumulated particles which later clog up the system. Dust entering the bearings reduces the life of the bearing as well as the performance of the machine. Routine checkup of the electrical systems is also an important element of the maintenance program. The sensors need to be checked for proper functioning by mimicking the movement of the concrete. Examination of the outlets is also critical due to the tendency of the concrete to solidify after exposure to the air. Adequate control of the batching process is important for the maintenance of the machines. This involves organizing the sequence of the production and checking productivity and speed of the machine. The performance of the motors is an important maintenance issue for consideration. They should be well maintained and gear box oil regularly changed to maintain the gearing system in good working condition as well as give them longer life. While dealing with ready mixed concrete it is crucial to ensure minimal spillages while pouring as these are the ones that cause clogging of the joints and moving parts. When dealing with the concrete pump systems, it is important to recognize the three main causes of blockages in the pumping system. These are wrong mixing, poor piping system, and human error. Undertaking the preventive maintenance: Consideration must be given to these factors. Water release from concrete is the result wrong mix or poor materials .This results in insufficient mixing and problematic pumping. Therefore it is always important to flush the pumping system after work. Regular maintenance of concrete operating systems is critical for the performance of these machines. To ensure improved performance of the system, Basic maintenance such as keeping the system clean, regularly checking the moving parts and regular oiling and greasing the moving parts can guarantee you efficient operation. The technical operating procedures also need to be thoroughly streamlined because failure of these will lead to wrong mixing and clogging of the equipment. Concrete pumps are indispensable for certain kinds of construction jobs. Concrete pumps are used to pour liquid concrete in the difficult areas like top of the building, middle of the tunnel etc. The concrete pumps are designed in such a way that they reach in the difficult areas and pour the concrete to make the construction strong and sturdy. Basically, concrete pumps are used for feeding concrete to the construction projects from a long distance as efficiently and effectively as possible. Concrete pumps are used to apply concrete in the areas where concrete mixers cannot reach. Boom Concrete Pumps – The boom pumps are stationery concrete pumps which are at the same place for the entire time concrete is being poured on a construction project. The boom pump is ground based concrete pump of large dimension with the crane or boom arm of different lengths. This type of concrete pumps enables to pour liquid concrete on high rise buildings with multiple storeys, which require pouring concrete from high level. Line Concrete Pumps – The line concrete pump is a compact pump and is used for smaller construction projects. Line pump is usually mounted on the back of a truck or a trailer and so it is known as trailer mounted concrete pump or truck mounted concrete pump. Most of the time, the line pumps are used to fill metal or wood forms into the concrete slabs. Always choose a concrete pump which is manufactured by a trusted manufacturer of concrete pumps. Go through the customer reviews written for the manufacturer online, because if you buy a concrete pump from a trusted manufacturer, then you can be rest assured that you are getting a high quality concrete pump. Most of the concrete pumping jobs are done under lot of pressure and if the quality of concrete pump is not high then it may break down and cause losses to the construction project. The concrete pump you buy must be fulfilling the purpose of your construction project and should be highly useful to it. If you need to pour liquid concrete into the mid of a long tunnel, and the concrete pump you own is unable to do that because of the lack of that specific feature which can solve that purpose, then that concrete pump is of no use to your construction project. In that case, you need to check that the concrete pump you are buying is versatile and excellent at functionalities. Last but not the least, the concrete pump you are buying should be priced reasonably and should be performing according to its price. Many times, it happens that you may end up buying underperforming concrete pump at a very high price. So, it becomes necessary to select the concrete pump as per its performance and price. So, now when you know the types of concrete pumps and the care to be taken while choosing a concrete pump, then buying a concrete pump from a reliable manufacturer Apollo Infratech Pvt. Ltd. would be a great way to ensure that the right equipment is on job at your construction project.